KIGALI , Nov 26 2013 (IPS) - “There is a saying that all Rwandans believe in. You can’t forgive if you forget, but when you remember, you know what harmed you and you can forgive and move forward,” Honore Gatera tells IPS as he walks through the grounds of the Kigali Memorial Centre in Rwanda’s capital. The museum was established in 2004, 10 years after the horrific Rwanda genocide. It is estimated that 800,000 minority Tutsis and moderate Hutus lost their lives in the massacre that began after a plane carrying Rwandan President Juvenal Habyarimana and his Burundian counterpart, Cyprien Ntaryamira, was shot down over Kigali in 1994. That year the international community failed Rwanda by failing to stop the genocide. It is almost 20 years later, and Rwandans believe international justice continues to fail them. Angela Mbabaz, 27, is a Rwandan Tutsi. She spent her entire childhood in Uganda with her two brothers and younger sister. She now has a daughter the same age she was when her mother was killed inside a Catholic Church compound alongside family members outside of Kigali. Community courts in Rwanda, known as “gacaca” were formed in 2001 to provide justice for victims like Mbabaz who lost family members during the genocide. In the local language, Kinyarwanda, gacaca means to sit down and discuss an issue. Last year, gacaca courts wrapped up. Human rights groups criticised the village-based process due to its falling short of international legal standards. According to government figures, 65 percent of the two million genocide suspects were found guilty in a speedy legal process in Rwanda. But there is almost no opposition to gacaca within Rwanda, even from law experts. Sabine Uwase is legal advisor to AVEGA Agahozo, an association of genocide widows. She found gacaca to be highly effective in prosecuting perpetrators. The International Criminal Tribunal for Rwanda or ICTR was established by the United Nations following the 1994 genocide. Based in Arusha, Tanzania, the ICTR will close in 2014, once the remaining appeals are finished. ICTR spokesperson, Rolland Amoussouga, believes criticism of the tribunal is unwarranted. “Since it started in 2003, the ICTR has indicted 93 people. Eighty-three have been arrested. Seventy-five decisions have been reached with 12 acquitted and 63 sentenced to prison,” he tells IPS. In international law, the ICTR has set many legal precedents including the first-ever judgement on the crime of genocide by an international court. A residual mechanism was put in place last year by the U.N. It will continue in Arusha following the completion of the ICTR mandate. “It is a normal process, a normal feeling, for genocide survivors and victims to criticise ICTR one way or another. You can’t expect to have a perfect justice,” he says. 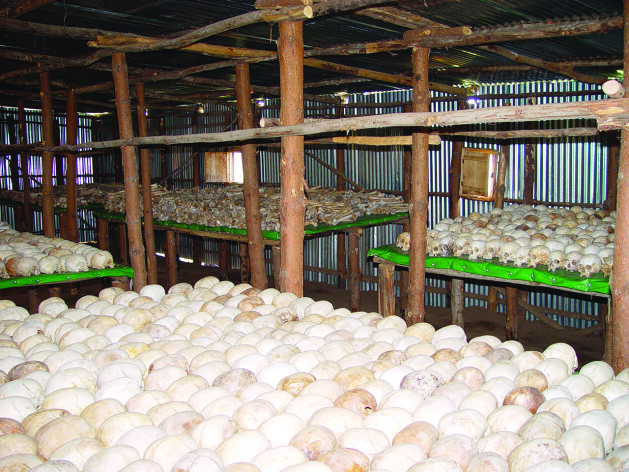 Ten indicted Rwandan genocide suspects remain at large. To Rwandans, this is not good enough. Naphtal Ahishakiye is the executive secretary of Ibuka, which means “remember” in Kinyarwanda. Ibuka is a national organisation representing genocide survivors and the most powerful civil society group in Rwanda. Mbabaz wants Rwanda to move on from the genocide, as she has. She believes the international community will apprehend the remaining perpetrators and let them face justice. The national day of remembrance is on Apr. 4. Next year’s event will mark 20 years since the genocide of 800,000 Tutsis and moderate Hutus took place. National reconciliation efforts have worked to erase tribal affiliations, officially replacing them with a modern, post-genocide Rwandan identity. Gatera concludes his tour of the Kigali genocide memorial. He says he would like to put an end to this terrible chapter in the country’s history. Even if these fugitives are arrested and sent to Rwanda to face justice, there is no telling if they will, in fact, receive a fair trial by international standards. But according to Rwandans, they believe real justice can, and must, be demonstrated to the international community to show they do not need outside help any longer. Forget? Look at your brothers and sisters, their skulls laying on tables. Uniformed death, all in a row.